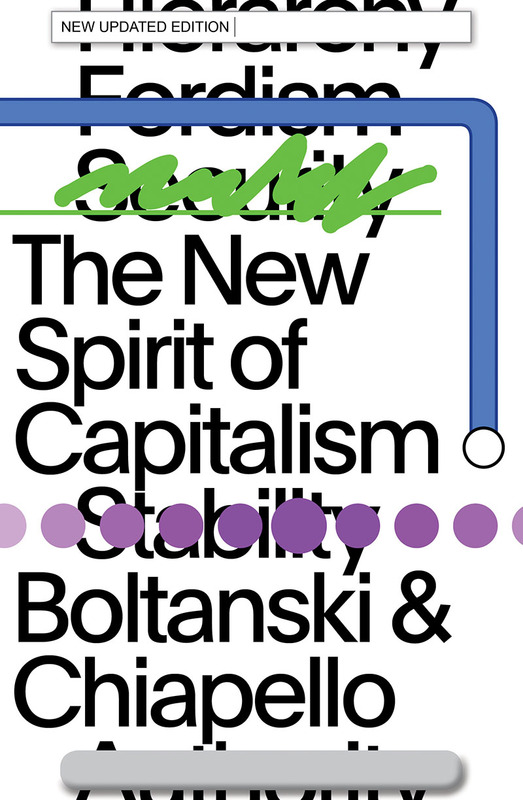 Luc Boltanski and Eve Chiapello reflect on the development and triumph of neoliberalism since the original publication of The New Spirit of Capitalism. Rather than return to the context of 1995–99, when we worked together, and respond to criticisms that have been addressed to us – something we have done in previous prefaces – we have decided to evoke in our own voices not the book itself but the way that, in some of the work we have undertaken separately since, we have pursued some of the tracks we embarked on together. Since the publication of The New Spirit of Capitalism, I have pursued my work in various directions, leading to the publication of four books. Although devoted to subjects that prima facie seem very different, they form part of a series whose objective is to develop a sociology of modernity, as largely dominated by developments in capitalism over recent decades. Like The New Spirit of Capitalism, the first of these books, The Foetal Condition: A Sociology of Engendering and Abortion,4 published by Gallimard in 2004, sought to study the social and political changes that had profoundly altered Western societies roughly between the 1970s and the 2000s, but switching analysis from production and corporate management – the capitalist forms of organization of human work dealt with by The New Spirit of Capitalism – to a different sphere which, since Michel Foucault, has been termed biopolitics. Both involved grasping the long-term effects of changes that occurred during the years that either just preceded, or in particular followed, the very profound crisis of the old order from 1965 to 1975 – a crisis marked by the events that made 1968 the symbol of what we should not hesitate to call a revolution, even if they did not usher in a change of political regime. The revolutionary character of these events is attested by the intensity of the reactionary counter-fire they prompted, practically as well as intellectually – a phenomenon admirably studied by Serge Audier5 – whose effects can still be felt today, with even greater intensity than in the immediate aftermath of May ’68. However, it should be noted that these events had contrasting practical consequences in the different areas studied. In the sphere of work and production, the reaction to them saw the governing bodies of capitalism regain control, resulting in increased exploitation of labour. This was achieved by re-engineering enterprises and by massive unemployment, mainly attributable to relocation of production to low-wage countries. These phenomena are at the heart of our analyses in The New Spirit of Capitalism. By contrast, in the domain of biopolitics, buoyed by the development of feminist movements, by a more pronounced demand for autonomy, and also by a new ecological awareness, the events resulted in the legally sanctioned acquisition of new freedoms, which are nevertheless still contested and remain fragile. In a second book, On Critique: A Sociology of Emancipation,6 published in 2009, relying on the fieldwork undertaken in the two previous books, I endeavoured to develop a theory of social critique, accounting for the conditions of its emergence and of its success or failure. This analysis of contemporary forms of critique was predominantly based on two components, proposing two sets of concepts that aimed to understand, on the one hand, the very possibility of critique and its modus operandi and, on the other, the way it might (or might not) gain a hold and take root in social formations. An initial conceptual device introduced a distinction between what I called the world and reality. Social actors are immersed in a reality which, dependent as it is on a number of pre-established formats in the legal order – or, more generally, regulatory texts – tends to limit the horizon of expectations and aspirations that may be deemed ‘realistic’, including by those disadvantaged by these formats, who might in a word be called the subaltern. However, not all of the latter’s experience is rooted in this socially and legally constructed level of reality. Some of it is immersed in what might be called the world, defined (in Wittgenstein’s terms) as ‘everything that is the case’, even everything that could be the case, which boils down to the impossibility of knowing and mastering the world as a totality. The plane of reality is shot through with contradictions, which tend to be bypassed or obscured by the dominant instances when reality coheres, in the sense that each of its elements seems to support the effectiveness of the others. In historical situations where this reality appears to come undone, as is notably the case when economic crises and/or innovative social movements develop, actors can endeavour to shape what, in their everyday life, is rooted in their experience of the world, to translate it into a language and, when they meet with a response, to convert it into political demands, in an attempt to transform the contours of reality through critique. To understand such operations, we must say a little about the mechanisms whose task is to construct reality and make it cohere. This is where the second set of concepts presented in On Critique comes in. Its objective is a clearer understanding of the role of institutions understood as incorporeal beings – or, if you like, fictions which, precisely because they are disembodied, unlike ordinary actors who are always socially situated by dint of their engagement in a body, are tasked with saying how things stand with what is, in principle for everyone and from an overarching standpoint: that is, with defending the very tenor of reality. In this theoretical mechanism, critique assumes its true significance, especially as regards the institutions at which it is directed. Accordingly, the path to emancipation is construed as a dynamic aiming, as it were, to deconsecrate institutions, including the state (at least if it is regarded as an absolute), so as to envisage political orders based on recognition of the uncertainty inhabiting reality and the possibility of changing its contours – that is, recognition of the necessity of critique. The next step, presented in Mysteries and Conspiracies,7 which was published in 2012, sought to pursue this analysis of modernity by taking as its subject the nation-state as it developed in Europe from around the late nineteenth century – that is (to adopt Foucault’s formula), the state in the age of biopolitics. The mission of biopolitics is to act as guarantor of the tenor of reality and, utilizing the natural sciences, technology and social science, to render it predictable by reducing the uncertainty that always threatens to invest social existence. The book relies on seemingly disparate phenomena – in the sphere of literature, the emergence and rapid, exponential development of crime fiction and spy novels; in psychiatry, the invention of a new nosological entity, paranoia; in political life, the interconnected multiplication of accusations of conspiracy and counter-accusations of indulging in conspiracy theories; and, in the domain of knowledge, the public success of the social sciences – particularly sociology, in so far as it serves on the one hand to establish institutional reality, when put to work in a logic of expertise, and on the other to support the critique of institutional reality. The central argument developed in Mysteries and Conspiracies is as follows. The truly demiurgic project that emerges with the formation of the European nation-state – making reality predictable within national boundaries and for a selected, documented population – encounters a whole series of obstacles. Among them, a key role is played by the development of capitalism, which makes light of national boundaries. The upshot is what might be characterized as structural anxiety about the stability of the social and political environment and the very tenor of reality. In my view, this anxiety about the reality of reality is conveyed to a general audience by literary genres that put uncertainty at the heart of their fictional apparatus, and is also expressed by frequent public reference to paranoia – an illness marked by the impossibility of concluding the investigation of reality. Such paranoia has become an habitual accusation, or anxiety about the threat of conspiracy, which is one of the resorts of the modern media. It should be pointed out that diffuse anxiety about reality readily takes a reactionary turn when it leads to the idealization of a supposedly unchanging and hence reassuring past – that is, when it is not transformed into a critique directed on the one hand at institutions, especially when they insulate themselves against democratic demands, and on the other at capitalism, when it makes uncertainty and disorder a source of profit. I shall conclude this tour with a brief presentation of the last book I wrote, with Arnaud Esquerre – Enrichissement, une critique de la marchandise, which has just been published.8 Its subject is once again the changes in capitalism that have marked the development of the countries of Western Europe in the last forty years. But it approaches them from a different angle from that adopted in The New Spirit of Capitalism. Enrichissement starts out not from the issue of work and production, but from the commodity. In this book, we develop the idea that recent decades have witnessed the development of a new way of creating wealth that relies not on industry, now largely relocated, but on commerce and the more intensive exploitation of resources. Without being altogether novel, these have assumed unprecedented importance. The scale of the change in capitalism only emerges if one brings together spheres that are generally considered in isolation – in particular, the heritage industry; the arts (chiefly the plastic arts); culture; the antiques trade; the creation and foundation of museums; the luxury items industry, whether fashion or food; and up-market tourism. The constant interaction between these enables us to understand how they make a profit: what they have in common is that they capitalize not on the production of new objects, which continues to play an important role while being relocated to low-wage countries, but on the enrichment of things that are already there. Economy of enrichment is our term for an economy that draws its substance from exploitation of the past. In this economy, objects from the past are enriched, particularly by being associated with narratives that foreground their traditional character and also, invariably, their national rootedness (France as brand). One of the specificities of this economy is that it capitalizes on commerce in items primarily intended for the global rich. For the wealthy who deal in them, they are at once a source of enrichment and, by making it part of ‘heritage’, a way of preserving a wealth acquired elsewhere, in particular through finance. In Enrichissement, we also propose a grid for understanding how this economy is part of a composite structure in which other types of commodity also circulate. It is based on an analysis of what we call the structures of the commodity, associated with a multiplicity of forms of valorization whose composition is articulated in the manner of a transformation group, in Claude Lévi-Strauss’s sense of that category. Along with the standard form, which was dominant in the context of industrial capitalism, we have identified three further forms. These are the collection form, on which the economy of enrichment is largely based; the tendency form, which makes it possible to valorize things that rapidly become obsolescent; and, finally, the active form that values objects, including artworks, solely in terms of their resale with a view to profit, thus treating them as if they were financial assets whose exchange is predominantly speculative. Practical knowledge of these forms of valorization enables actors, whether sellers or buyers, to circulate in the complex universe of the commodity – albeit unequally, of course, in accordance with their level of market socialization. This practical knowledge has become all the more indispensable in as much as modern Western societies can be defined as commerce societies, where everyone is supposed to be not only a consumer, as in the old ‘consumer society’, but also a competent seller, including of themselves. Analysis of the commodity and commerce is thus at the heart of our work. By commodity, we mean anything, whether material or immaterial, that has a price when it changes hands. We therefore regard exchange as a test, in the sense that Laurent Thévenot and I attached to this concept in On Justification; in this instance, a test whose outcome is the formation of a price. From this position we went back to work on the issue of value. Rather than treating value as a property that is more stable and more inherent in things themselves than price (which always has a circumstantial character), as did the classical thinkers (Marx included), or dispelling the problem by relying on a mechanism of subjective evaluation, like the neo-classical economists, we have treated reference to value as a means seized on by the actors in an exchange when they seek to criticize or justify a price. This they do by appealing to what we call metaprices – prices that are estimated without being the direct result of an exchange. Our analysis of the commodity made considerable use of the seminal works of Fernand Braudel, who stressed the role of commodity movements in the formation of capitalism and, in particular, following Sombart, the role of things destined to fuel trade in luxuries. Further drawing on Braudel, we have suggested an interpretation of profit which, alongside the surplus value from labour analysed by Marx (primarily valid for industrial capitalism), attributes great importance to what Braudel calls market surplus value. The latter is extracted by operators who equip themselves with the means to move commodities between various remote markets between which communication is difficult. This is the case, for example, when a luxury product with a French trademark (even if production of it has been relocated) is sold in a far-off country with a very high profit margin. But the same kind of operation is effected when it is the buyers who are displaced, as in up-market tourism. The mobility that capitalism derives from its plasticity thus represents, according to us, a significant source of profit. Finally, I shall add that the development of this new source of wealth has helped profoundly transform the contours of the social formation we live in and the hierarchy of social classes. The economy of enrichment has significantly helped to strengthen property-owning groups and classes, as against those who derive the bulk of their resources from salaried employment. With the decline of industrial production, it has relegated many members of the popular classes to the status of servants. Finally, it has been associated with a significant increase in the number of workers in cultural industries, who, in the absence of organizations and critical tools, currently have few resources with which to resist the casualization that is often their lot. In this respect, the book aims to offer analyses that make tools available to these workers, enabling them to make demands attuned to their current condition. Contemporary France is fertile ground for the study of these new forms of wealth creation, rather as (if I may be allowed the comparison) Great Britain was for the industrial economy in the first half of the nineteenth century. France, where the various forms of valorization are active, is thus a good example of what might be called an integral capitalism, in the sense that it capitalizes on the incessant extension of the commodification process, impelled by the demand for profit, to new domains. Readers of The New Spirit of Capitalism often take very different things from the book. Some, above all fans of the description of the six cities in On Justification, go to it for a seventh city, established in Chapter 2, adding a seventh column to what then becomes a grid of atemporal, non-territorial codification – a minimalist usage, and doubtless not the most interesting, both of our book and of On Justification. Others have viewed this seventh city as what we sought to make it, or as the stylized description of a new spirit of capitalism, valorizing projects, creativity, network existence, the need to become a self-entrepreneur, and new corporate figures like the coach or project head – a description that has hardly aged. Quite the reverse: it seems that these ideas have permeated public policy, which strives to make regions creative, to invest in human capital, and to construct new forms of security and employability in a world that is invariably described as uncertain, developing rapidly, and where it is imperative to reinvent oneself daily. Self-entrepreneurship has developed further thanks to new legal formulas (the status of self-entrepreneur in France), or technological ones (platform businesses like Uber). Numerous investigations have found this stylization helpful in making sense of the transformation of work that we tackled by re-reading (in Chapter 4) the research of the time, which enabled us to stress that changes in management discourse could not be dissociated from changes to work. For my part, I have not done any further work on the world of the seventh city and what it means for work. On the other hand, I have retained an approach that seeks to bring together the discursive and ideological dimension of management with actual corporate practice, while being concerned to articulate them better – especially given that some of the criticisms addressed to us argued that we had an unduly monolithic and long-distance view, incompatible with the variety of practical situations. I thus endeavoured to construct different operators of the transition from discourses to practices. Obviously, this started with the notion of test that had already been employed in Luc’s other works, and which we had developed in The New Spirit of Capitalism, but also on the basis of other works. These included the works of Michel Foucault, which are indispensable for articulating the order of discourse and mechanisms for the conduct of conduct; or those within Actor Network Theory that attribute agency to socio-technical arrangements. I also moved very close to Alain Desrosières and his work on quantification (some of it carried out with Laurent Thévenot), which used the notion of convention in a wholly original way to account for the construction of devices for calculation and quantified representation. What interested me was using management tools, particularly those that organize the generation and diffusion of quantitative information, as relays from ideas to practices, as operators to enact global ideologies potentially circulating far and wide, which are taken up and endlessly repeated in ad hoc, localized and hence variable applications, without being unconnected with the dominant major discursive frameworks. Thus I worked on accounting frameworks, including changes within them and their links with political theories – whether to explain the frameworks incorporated into the international accounting norms adopted by the European Union during the 2000s,9 or, going back in time, the relationship that can be traced between conceptualizations of capitalism developed by Marx and the accounting practices of the nineteenth-century firms with which he was concerned.10 A book for young researchers (Sociology of Management Tools, with Patrick Gilbert),11 broadly pedagogical in intent, also derived from this endeavour. It may be that a criticism made of us when the book appeared – that we did not invoke neo-liberalism to account for recent changes in capitalism, preferring a different description – is related to this undervaluation of concomitant changes to the state. In particular, the latter consisted in a reorganization of the relations between the public and the private and a readjustment of the modalities of state action and intervention – factors that we did not include in our analysis. That is why I have sought to extend my work on management tools and quantification to take account of tools of government, establishing links with a dynamic research field in political science that has proposed analysing public policy starting out from these tools (Christopher Hood, Pierre Lascoumes and Patrick Le Galès). If there is a translation chain from normative discourses to economic practices, then it is forged both by political instruments and management tools. Legislative texts are written; management procedures are developed by civil service departments in order to implement them and statistical systems are established to track them; management tools are prescribed for enterprises, which develop their administrative equipment and rules, not without some tinkering, invention and exploitation of the latest technological innovations. Consequently, in the socio-technical arrangements that create the economic fabric, it is impossible to separate out what derives from the state, enterprises and NGOs; consequently, this ensemble is imbued with cognitive frameworks and discourses, some of which acquire greater purchase than others, that also circulate in public reports, legislative discussions and management literature. My ongoing work is on financialization.13 Initially, I embarked on it with a view to explaining the phase of capitalism that followed the one we described in our book, and which macroeconomic Marxists or members of the Regulation School have documented from the late 1990s under the rubric of financialized capitalism. And I sought to combine a study of financial discourse and a study of the management tools, particularly evaluation, proposed by finance with a study of changes in the circuits of financing of the economy and of changes in the ways that public policy is formulated and implemented. If there is a new spirit of financialized capitalism, associated with a particular toolbox, then it should be possible to explain the way in which its spirit guides both economic practices and public policy, as well as the activities of not-for-profit actors that are neither public nor private (NGOs, think tanks, promotional associations, initiatives, and so on) that have recently proliferated in areas where management and government mechanisms are constructed, sometimes referred to as ‘civil society’. Apart from the description of the connexionist world and the seventh city, readers frequently take up another aspect of The New Spirit of Capitalism: the dialectical model of change we propose, wherein capitalism transforms itself by integrating critique. This model, which has the merit of assigning critique a significant role, assumes at the same time that a critique that succeeds is a critique recuperated and thereby disarmed. We identify two main critiques of capitalism – the artistic critique and the social critique – and the book’s architecture is structured around the interplay between the two. Amid the capitalism’s crisis of governmentality, caused by an offensive by the two critiques, various actions were taken in response (Chapter 3). Ultimately, it seemed more effective for capitalism to transform itself radically by meeting some of the demands of the artistic critique, which enabled it to eradicate the social critique (Chapter 5). Subsequent chapters are devoted to exploring ways of reviving both the social critique (Chapter 6) and the artistic critique (Chapter 7). It should be noted that critique has a different meaning here from the one it is given in the model of the cities, since the critiques of capitalism possess substantive content that cannot be translated into the terms of the six cities – in particular, because they do not touch on issues of justice and the relative worth of beings and things. Some readers think that the artistic critique is a critique from the inspired city, while the social critique derives from the civic city. This fails to grasp the dynamics and characteristics of the capitalist system, which is sometimes reduced to the market city and at other times to an industrial–market compromise. In the book we in fact combined two very different approaches to critique. The first refers to particular ideological contents that target the operation, development and derelictions of the economic system. The second is constructed with respect to the model of cities we developed. Whereas, in On Justification, critique was essentially conceived from one city to the next, we now envisaged an internal or reformist critique, aiming to make tests conform more closely to the forms of justice they are supposed to serve, and an external or radical critique that challenges them, closer to the original conception of critique in the model of cities. A ‘dynamic of tests’ was also added, intended to account for the ‘displacement’ of tests (with the support of the radical critique), and their being put under stress by the impact of the reformist critique. This involves a theoretical language that makes it possible to model at a micro level changes in the ‘established tests’ (the ‘test of justice’ alone, because Luc deals with the other ‘established tests’ elsewhere). These two conceptions of critique cohabit in the book without being fully integrated, just as description of the new spirit of capitalism cohabits with that of the projective city. It seems to me that subsequently, each in our own way, we have sought to go more deeply into one of these conceptions. For my part, I have mainly worked on the critiques of capitalism in order to ground them theoretically, by reading texts from the tradition critical of capitalism (in our book, the sole discursive corpus analysed comprised management literature), and to extend the model of change we developed in time.14 In the introduction to the book, we announced that the ‘new’ spirit of capitalism was in fact the third since Werner Sombart’s initial characterization in terms of the figure of the bourgeois. I therefore sought to reconstruct the interplay between critiques and crises of governability accompanying the transition from one spirit to another (setting out once again, to an extent in the tracks of Luc’s previous work in Les Cadres, which deals precisely with the period of the transition from the first spirit to the second). This led me to construct various ideal types of critiques of capitalism more robustly than we had done in the book – not of two critiques, but four. In fact, it seemed to me to be necessary to add a partly anti-modernist critique, which I called the ‘conservative critique’, to account both for the first spirit and for the emergence from the crisis of the 1930s, and an ‘ecological critique’, prominent in the 1970s, but which was given no role in the book. This latter critique seemed to me especially active in the management and corporate world at the start of the 2000s – in particular with the movement for corporate social responsibility. Having been employed in a business school until 2013, I used this work to construct an alternative programme for managers,15 confronting them with critiques of capitalism in order to make them (as it were) ‘agents of recuperation’. During the financial crisis of 2007–08, it seemed for a while as if the crisis might be the prelude to a new crisis of governability of capitalism, liable to foster a consideration of alternative ideas about social and environmental questions alike. As early as 2009, however, any change of models was out of the question. 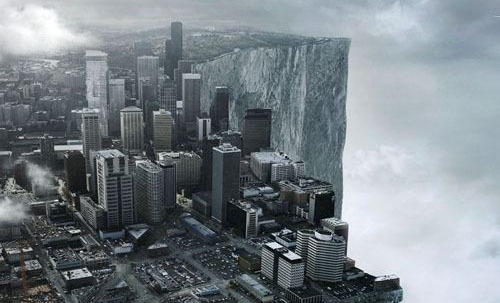 The states that had saved the banks from collapse found themselves caught in a vice by the financial markets on account of their colossal debts. And to this day the financial orthodoxy required by lenders – who believe they take priority over the needs of citizens, as the tragic fate of Greece has shown – has not relaxed its grip. Rather than a change of regime, we have witnessed further enslavement of economic agents to the requirement of returns on capital. It became evident that critical forces were incapable of introducing a balance of power that would enable them to be taken into consideration. In France, these years also witnessed an acceleration in reform of the state and a very profound transformation of ways of organizing and managing the civil service – a shift that is still underway, and whose forms cannot be dissociated from the financial crisis of the state. On my recruitment to the École des Haute Études en Sciences Sociales in 2013, this issue of financialization was the one I thought I should tackle, thereby reviving the original questions of The New Spirit of Capitalism, which were to understand what at the time we called the ‘crisis of critique’. The issue today is its inability to gain any purchase – and, in particular, to check the rise to power of financial actors asserting different interests and different imperatives from those of capital accumulation. My working hypothesis is that the ways in which critique is currently received are very profoundly structured by an ideological framework and by financialized instruments that influence the way social or environmental problems are defined and considered (when they are at all), so that, when a reform is implemented, not only does it not challenge the power of finance, but, on the contrary, often reinforces it.